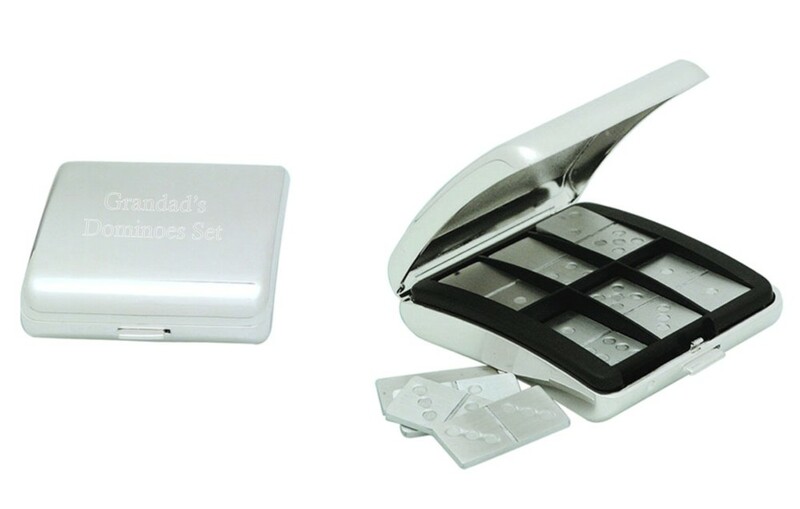 Engraved Silver Plated Dominoes Set. This great case measures 70 x 60 x 30mm, all of your engraving will be done on the front of the case. This fantastic set includes 28 dominoes, each domino measures 3cm x 2cm. It comes in a black gift pouch and boxed. Perfect gift for the games fanatic!